What’s the most epic thing you’ve ever done out of spite? For me, it was my first ultra. 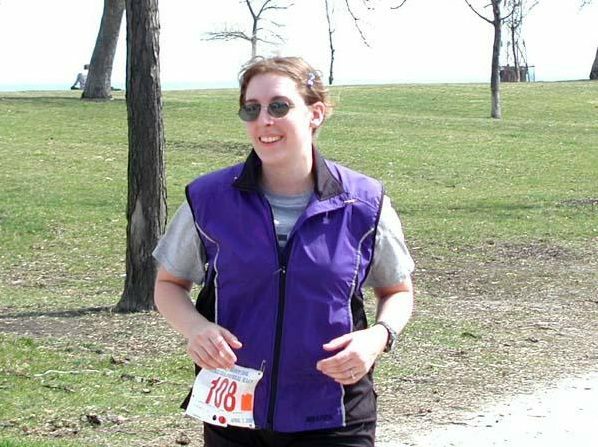 My first marathon was Chicago in October 2000. I was undertrained and totally burned out by the time it rolled around. I finished, but that was my last run for six months. Spring rolled around, and I thought maybe I would ease myself back into things. In April I sat at my computer browsing the race calendar. I probably wasn’t ready for a 10k, I thought. Maybe a 5k, maybe in a few weeks. 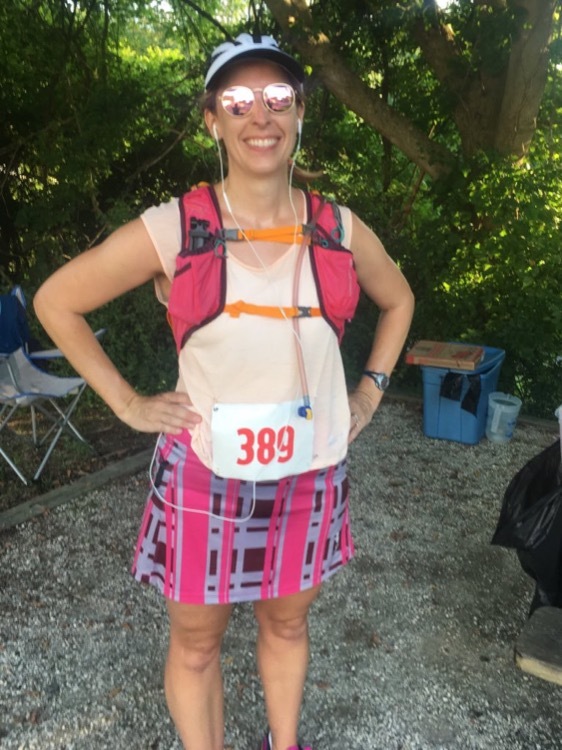 “Hey,” I called to my boyfriend, “There’s a 50k this weekend. I should run THAT!” I joked. “You couldn’t do that,” he replied. No joke. No hesitation. He just straight up declared that I couldn’t. I knew this was stupid. But he said I couldn’t, and I was going to prove that I could do whatever I wanted, no matter how stupid it was! I spent the next five days worrying and finally race morning arrived. The race had a 6:30 cutoff, and I knew I wouldn’t make that, so I took advantage of the early start option. The race director put a little yellow sticker on my bib, wished me luck, and I was off running into the dark. The course for the Chicago Lakefront 50K is easy. It is three loops, 5 miles down and back, on Chicago’s beautiful lakefront path. I ran the first 10 miles and was spent. I started the second loop, frustrated and tired, and already had to walk. I’d try to run, but I was untrained and exhausted. Hours later, when I spotted the start/finish line for the second time, I made myself run. Everyone there cheered when they saw me approaching. “Good job! You’re done! Congratulations!” they cried. My friends, I have never been so tempted to lie. “Yep,” I would say, “I sure am finished! Good job, self!” And they would hang a medal around my neck and I would hobble home and no one would know. Instead, I sobbed. “No. (sob) I have another lap to go. (sob)” In my memory, there was a moment of stunned, unimpressed silence from the small crowd. I stood alone at the aid station and a volunteer made me eat a salty potato. I headed into my final loop and cried. That guy was a jerk. Giving up wasn’t an option because I had to get back to my car at the start line. I limped the last five miles toward the finish. 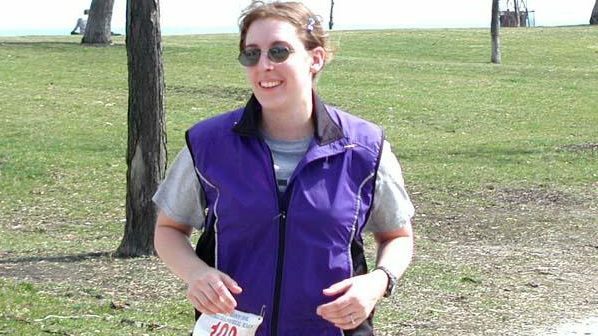 I saw the race photographer once, and he asked me to run for the camera so I’d have a good picture, but I couldn’t. I walked. I cried. Finally, I arrived at the finish. It had taken me around 7:45 and I came in second to last, just ahead of a pregnant lady who had not started early like I did. I was the slowest person there. Did I have a sense of pride in that moment? No. I just wanted a shower, some onion rings, and a nap. But as the day progressed, I started to feel better. The performance was nothing to brag about. The act itself though – being told I couldn’t do something when all the facts agreed that I would fail, and doing it anyway – that was so me. It was how I accomplished so many things in my life and how I fought that constant undercurrent of comments designed to diminish and discourage. 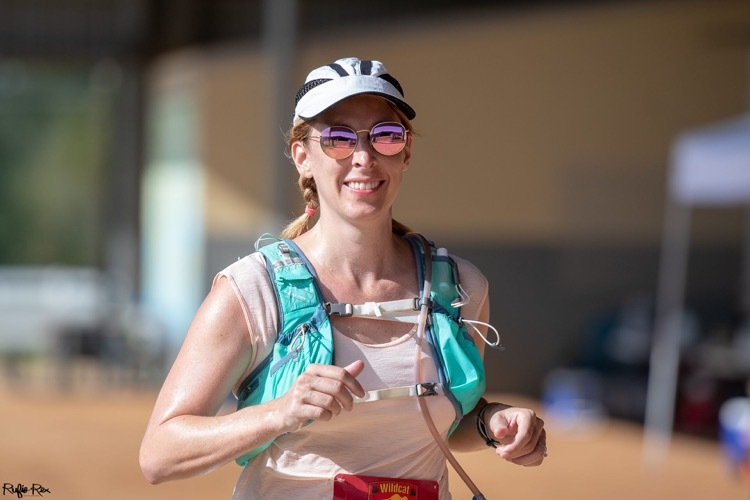 That first ultra was a small, stupid step, but it gave me a lasting confidence to push myself more (along with a lasting knowledge to train properly). I think this is why a lot of us run ultras. We find our limits, push past them, and do more than anyone thinks we could be capable of. We all want a good race, but if your next race is not good, may it at least serve to shut up someone who doubts you. “I was going to prove that I could do whatever I wanted, no matter how stupid it was!” – Hahaha, that’s a mantra to live by. Finishing a 50k is still an achievement in my book.